Chinese traditional Spring Festival for 2018 is coming soon! We would like to thank you for your FRUITFUL collaboration during 2017! 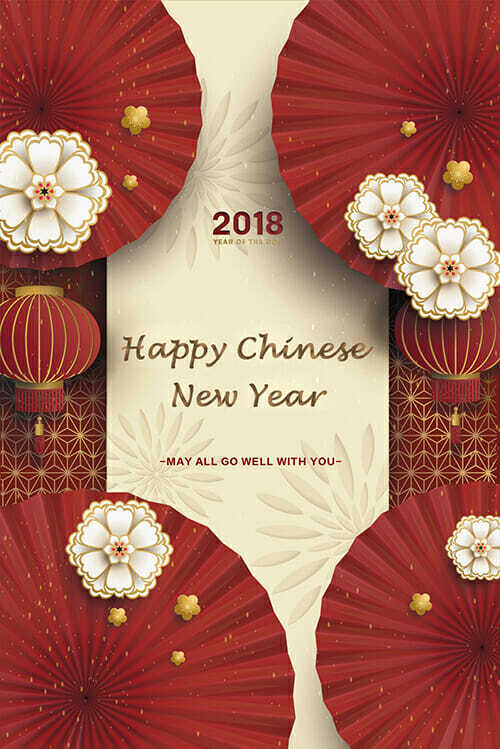 All the staff of our Team wish you a Happy Spring Festival and good luck in the year of the Dog! The barking of dog is BOW-WOW, Chinese transliteration means it would bring us more money and lucky! From 2.13 to 2.22 will be closed for our traditional festival, will resume working on 23 Feb, 2018.